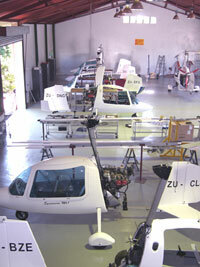 The Sycamore, a product of Chayair Manufacturing and Aviation (Pty) LTD, is designed and manufactured in South Africa. Chayair is a SA-CAA approved aircraft manufacturing organization (AMO) and the Sycamore is a type approved production build aircraft. Super streamlined, fully enclosed composite fuselage with removable doors (Mk1), or open composite fuselage (Mk2000) - Two seat tandem trainer - Dual controls for safe and advanced training - Full instrument panel - Bolted aluminum airframe - Tough spring steel landing gear - 30-33 ft Aluminum rotor with ”8h12” profile - Conventional ratio controls - Large horizontal stabilizer - Low maintenance and running costs - Developed and tested under harsh African environmental conditions. To locate your Sycamore Dealer, please use the menu left to select your dealer. Our sales representatives are some of the most experienced in the industry. Once you find the gyroplane that is right for you, our dedicated support staff can handle every phase of an aircraft purchase from financing, to insurance, specific training, pre-purchase inspections, appraisals, modifications and delivery. Also you can visit our Contact page and send us your questions. Of course you can also send us an email. Whether you are looking for an aircraft to purchase or preparing to sell the one you have, always feel free to contact us.